Just as with the siding and other areas of your house in Raleigh, Apex NC, your roof can become dirty from grime, mildew, mold, algae, fungus, and other substances. Cleaning your roof, tiles, and shingles can be a difficult process between balancing the need to remove unwanted dirt, grime, and foreign substances and making sure your roof, tiles, and shingles are not damaged. The solution is simple: residential low pressure roof washing, residential roof stain removal, and residential low pressure roof cleaning service from Peak Pressure Washing in Raleigh, Apex NC. 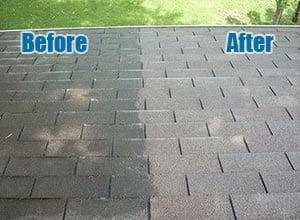 Low pressure roof washing and low pressure roof cleaning service are the ONLY safe ways to clean your roof and shingles that will still get the job done. High pressure power washers will destroy shingles and possibly damage the roof. Roof sealants that claim to prevent the growth of algae and other substances may also cause harm to your roof. Many store-bought remedies are not able to penetrate to the deepest layers of dirt and grime, so these are an ineffective method for residential roof stain removal. Residential low pressure roof cleaning service is performed by applying a special chemical application designed to loosen dirt, debris, algae, fungi, mold, mildew, and other substances. The chemical application is applied using mild and low pressure roof washing methods to ensure that tiles, shingles, and the roof are not damaged. 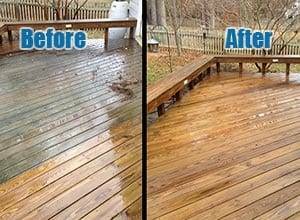 A professional application of residential low pressure roof washing, residential roof stain removal, & residential low pressure roof cleaning service like you would get from Peak Pressure Washing in in Raleigh, Apex NC will leave your roof looking clean for three years or more. When you need professional residential low pressure roof washing, residential roof stain removal, & residential low pressure roof cleaning service Raleigh, Apex NC, look no further than Peak Pressure Washing. Our services will restore your roof, tiles, and shingles to their former beauty without damage. Contact us online or call 919-796-9026 now. 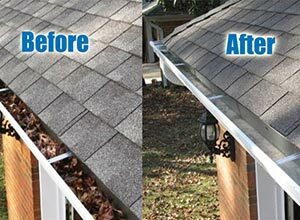 Need Low pressure roof stain removal, roof cleaning service Raleigh, Apex NC? Schedule Your Appointment! Peak Pressure Washing is your source for residential low pressure power washing services, including residential low pressure roof washing, residential low pressure roof cleaning, & residential roof stain removal, residential low pressure house washing, residential deck cleaning, residential concrete & masonry cleaning& residential gutter cleaning services in Apex, Cary, Raleigh, Holly Springs, Fuquay Varina, Clayton, Durham, Garner, Morrisville, Knightdale, & beyond. I apparently was oblivious to how dirty my house was until I had Jacob and his guys come out and wash my house, driveway, and workshop. Now it looks like a house ready to be put on the market. He even removed all my furniture off my porch and patio before washing! Thanks for the great work! Great guy and very reason price. Jacob returned my initial call within minutes. He was very accommodating to our schedule. I received a quote within an hour that was very reasonable. Jacob and his team arrived as scheduled and did outstanding work! The results far exceeded my expectations. The best pressure washing that our house has had. I’ll be a customer for life. Peak Pressure Washing came out and washed my house, driveway, and patio. Their price was the best out of several companies I contacted, and I couldn't be more pleased with the service they provided. They did an excellent job, showed up when they said they would, and were very friendly and helpful. I'm pretty picky about these kinds of things, and they knocked it out of the park! I will definitely call them again the next time I need a power wash. Very professional operation. 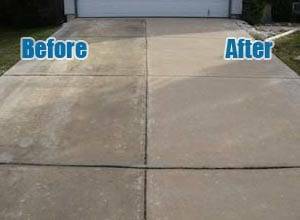 If you hire anyone else to take care of your pressure washing needs you are truly missing out! Because I own a service business my standards are high and it takes a lot to impress me.Top notch service. extremely professional, well equipped, punctual and reasonably priced. Highly recommend!